Activist hedge funds could be hurt, but a loophole may help them. Private equity, real estate and venture capital investments benefit from the final package. The House on Wednesday approved sweeping tax reform legislation on a mostly partisan vote, sending the bill—the Trump administration's first major accomplishment—to the White House to be signed into law this afternoon. The package makes deep cuts to corporate taxes and temporarily reduces individual taxes at the same time that it is seen raising the deficit by an estimated $1.5 trillion over a decade. However, a key provision that both candidate and later President Donald Trump had advocated for and one that was intended to raise taxes on hedge funds, private equity and real estate managers and others, is for the most part not in the legislation. At issue in the battle over taxes is the way carried interest—the profits received by many hedge funds, private equity managers, and venture capitalist—is treated as capital gains with a top basic rate of 23.8% as opposed to the top ordinary income rate which is now 39.6% but would be reduced to 37% in the package. Had the legislation decided to treat carried interest as ordinary income it could have significantly increase the amount of taxes fund managers pay. Trump, Hillary Clinton and Sen. Bernie Sanders had all focused on the carried-interest tax break during their campaigns. Trump described hedge fund managers as "paper pushers" who were "getting away with murder." In September, White House Economic Adviser Gary Cohn said that the president remained committed to ending the carried interest deduction. However, the legislation leaves the tax break mostly in place but may put restrictions on a small category of the investment sector. The legislation seeks to limit the carried-interest tax break by increasing the length of time assets would need to be held to qualify, from one year to three years. 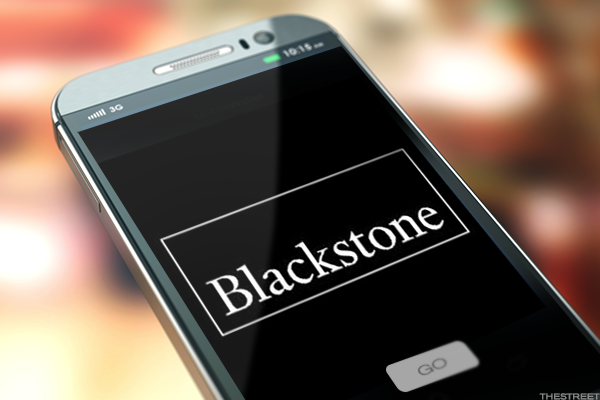 The provision would essentially continue to allow buyout shop managers such as Blackstone Group co-founder Stephen Schwartzman to be taxed at the lower rate. Real estate companies, venture capitalists and other fund managers would also continue to be taxed at the lower rate. Only a subset of hedge funds, including activist fund managers, could be taxed higher, though a loophole appears to help them out as well, according to experts. Score one for the hedgies. "Somehow carried interest survives in this tax plan," said Doubleline Capital CEO Jeffrey Gundlach on CNBC last week. "It is just unbelievable to me that that survives in the context of trying to have a tax reform. To me it does not sound like draining the swap, it sounds like maintaining the swamp." David Miller, partner at Proskauer in New York, said that short-term quantitative hedge fund managers never qualified for the tax break before and they will continue not to be impacted. He added that private equity, real estate and venture capital managers typically have average holding periods in excess of three years and would be impacted only on property held for a shorter period. Miller said that one category of hedge fund manager, who hold stakes for longer than a year but not for more than three years, could be impacted. However, he said that it was possible these general partners running funds could extract their investments and re-invest as limited partners to avoid the higher tax burden. He added that there was yet another loophole for hedge funds that would otherwise be impacted. Miller noted that a hedge fund general partner could hold their carried interest through an S Corp. to avoid the carried interest provision. He suggested, however, that it was very likely that this loophole was unintentional and one that lawmakers on key tax writing committees will try to address in technical corrections legislation in the coming months. Nevertheless, Miller noted that approval of the technical corrections bill needs nine Senate Democrats. Democrats have reportedly said that they are in no mood to help the Republicans out of any messes they made. Nevertheless, some managers of hedge funds and private equity will likely be hit by the new legislation another way. Miller points out that many hedge fund managers live in New York and other high tax states. He suggests that they would likely pay more in taxes overall since legislation significantly curtails state and local tax deductions. "A hedge fund manager who lives in New York will pay more in taxes because they can't deduct their state and local tax burden," Miller said. Kai Haakon Liekefett, head of the shareholder activism response team at Vinson & Elkins, suggests that the provision extending the holding period required for the carried interest break would hurt activist hedge funds. "Activist hedge funds by nature need to be able to retain the ability to cut and run if need be," Liekefett said. "If they have to hold for three-plus years to avoid a tax penalty that would create a serious problem for a lot of hedge funds whose strategies are often based on shorter holding periods." Overall, new taxes on some hedge funds will bring far less revenue to the U.S. government than had Congress moved to treat carried interest as ordinary income. The Treasury Department estimated in 2016 that $19 billion would be raised over ten years from treating carried interest as ordinary income. The Joint Committee on Taxation, which reviews tax policy, gauges that only $1.2 billion would be raised over ten years with this new provision, roughly $120 million a year, from the carried interest amendment. However, Miller questions whether the committee factored in the possibility of an S Corp. loophole. Murray Gunn, chief of global research at market research firm Elliott Wave International, agreed that the carried interest loophole is staying for now. "The move higher in stocks reflects a positive social mood that makes politicians and regulators now more inclined to go easy on previously detested hedge fund managers," Gunn said. "When mood turns negative, look for greater momentum to close loopholes and tighten regulation."